Your boat is a huge investment—are you protecting that investment in the safest and best way possible? At A-1 Boat & Mini Storage, Inc., we’re here to take any uncertainties you may have about boat storage in Hot Springs, AR out of the equation and aim to deliver a storage solution that meets and exceeds your every need. With 24-hour, seven day a week access and the area you need to easily maneuver your boat in and out of your space, we’ve set ourselves apart from other storage providers for the last 30 years. 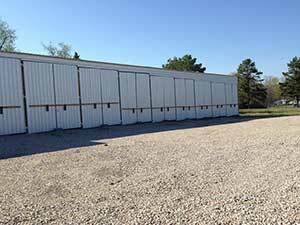 With three lots and 150 accommodating spaces available, you’ll have no trouble finding the right storage solution at our facilities! We’ve been in the business for three decades and understand our customers’ needs and wants. Our units are affordably priced for your convenience. We focus on providing unparalleled customer service. Our scope of accommodations includes drive-through units. Our facilities allow for 24/7, secure access. "Excellent service. Friendly people and very nice storage facility. " "About 4 years ago we needed a place to put my boat and A-1 was the only choice for my husband as he had worked with Evaline in the past. I h..."